As one of the most respected collectors of oriental militaria, Jorge Caravana strives to inspire those who hate armour and weapons to change their mind and view these objects as important historical creators of peace. What is the origin of your collecting passion? Since my childhood my father inspired me to have an educational hobby. Initially it was small objects like shells, match boxes and toy cars, etc. In the course of my education I became interested in history and history of Portugal. 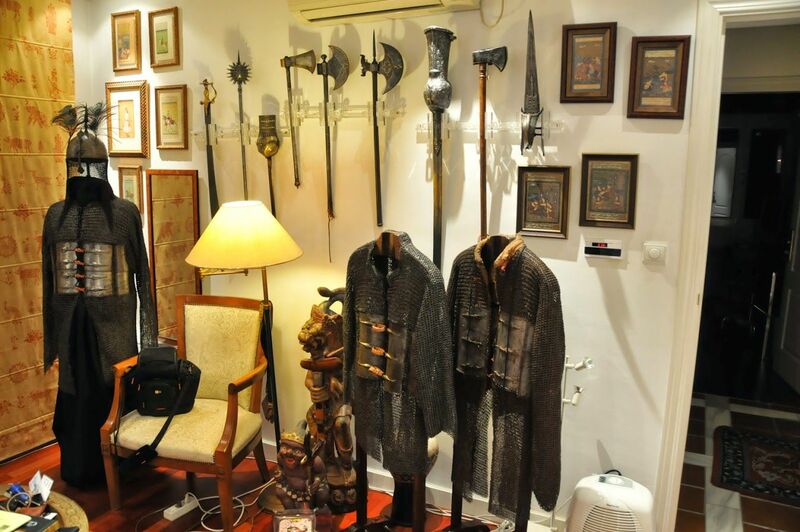 In 1998 I started collecting militaria influenced by Portugese weapons. When did your collection become a collection of oriental militaria? It has been a collection from the beginning due to my passion: I was always interested in history. A conversation with a friend sparked interest in objects from Portuguese colonies. What is your acquisition strategy? First of all I make sure I do my research. I study the market and select pieces based on my investment capacity. I am contacted by dealers and collectors who know my interests, but mostly I buy through auction houses. But, I do buy from galleries and antique shops, mostly in London including Amir Mohstashemi. Do you like objects to be aesthetically pleasing or do they have a different purpose? The aesthetic quality is obviously present, however the historical relation with Portugal is very important to me. There are many reasons for an acquisition but the purchase should always be preceded with thorough studies. Is branding, promoting or sharing your collection important to you and why? Yes, a self respecting collector should be sharing their objects with other collectors, institutions and those interested in the subject, not only to teach, but more importantly to learn. If you do not share, what is the point of collecting? Is it important to live or visit the places where the objects originate? Yes, in fact I reserve my holidays to do this. For example I was in China for 17 days this year, and visited India for 40 days around three years ago. I also visited Morocco and other oriental countries with a Portugese colonial history, to see the sights of battles and military actions from the past. I like to visit museums around the world with significant collections of weapons. As a collector, are you ever faced with an ethical dilemma when you take objects out of their context? Never. I buy objects from dealers and auction houses, never ‘in the field’. Even though I export objects out of their country of origin, I see it as a promotion of the country of origin. Additionally I believe that in my collection they will be better maintained and protected. What defines a collection of oriental millitaria and what makes your collection a collection of such? I collect oriental militaria but not firearms. They are too difficult to trade and bring back to Portugal. If you do not share, what is the point of collecting? So, do you consider owning the pieces as a way of preserving them from negligence or destruction? If not, why do you collect? I don’t collect for investment. 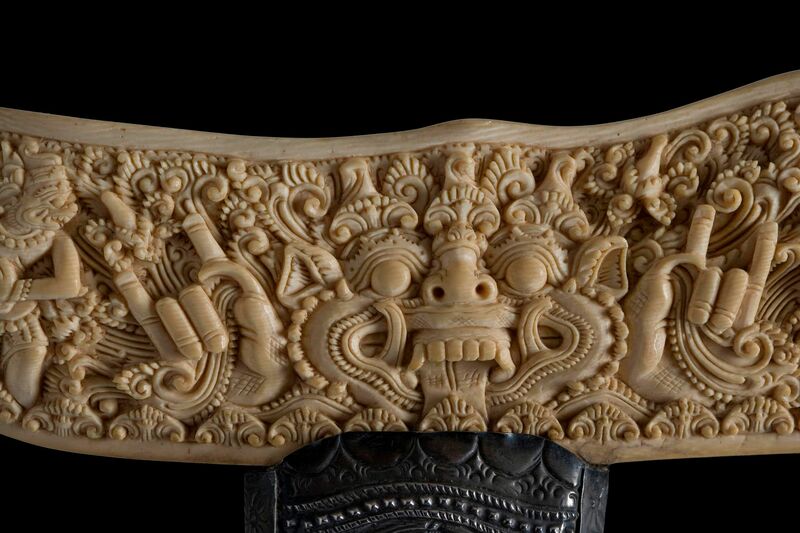 The main purpose is expanding knowledge and awareness and promoting the cultures who produced those objects. Some say they hate weapons and militaria, but when they see my collection, they change their mind. I am a pacifist, but I am interested in history and history was made with weapons. Peace was also made with weapons. There are plenty of ceremonial objects in my collection, gifts presented by the Portuguese people to the natives they interacted with as a sign of peace. Is there ever going to be a point when your collection is complete? A collection is never completed and closed. Mine will continue till the day I die. There are always different fields to expand and even if this becomes difficult you would start collecting something that relates to it. Collecting is a disease! 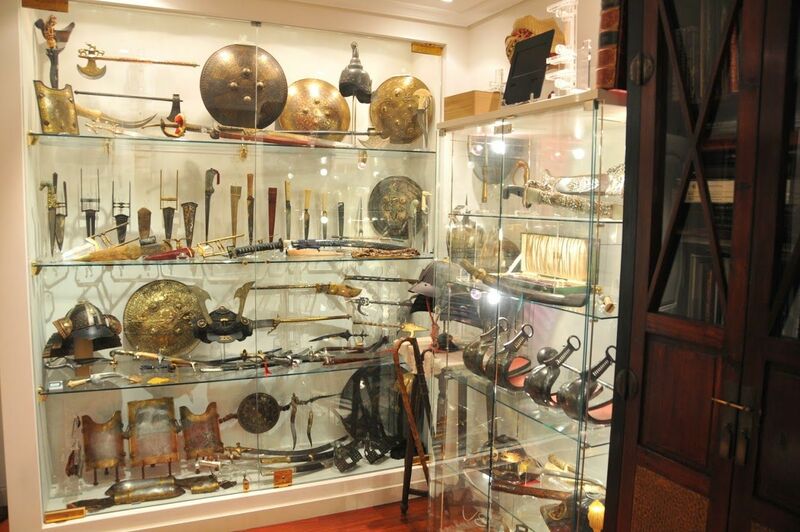 What would be one piece of advice you would give to someone who is interested in collecting oriental militaria? Study the subject thoroughly. Never buy unless you research the item properly. Touch and see everything personally. Even if a weapon is shown in an auction catalogue I always have my doubts, I like to study them. Always do business with a trusted auction house, and of course, always negotiate before the purchase is finalised. What is the highlight of your collection?